This handy Breadboard Power Supply provides regulated 3.3V and 5V power at up to 700mA for your prototyping convenience. 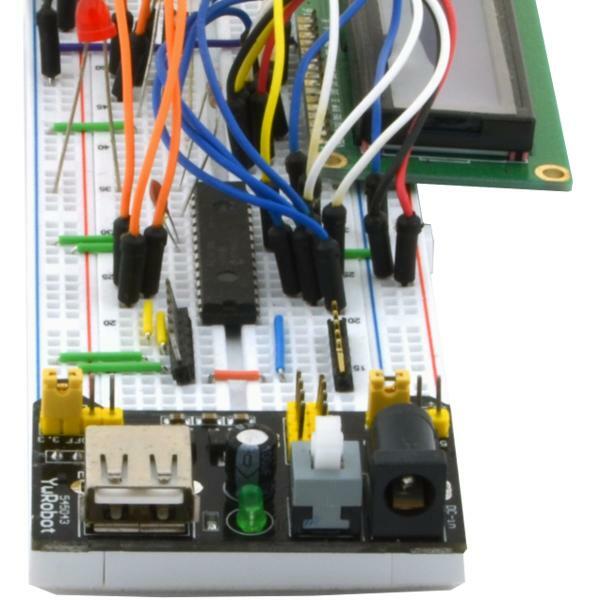 Simply plug it into a standard sized 830 point breadboard and the power pins will connect directly to the breadboard power rails. Each breadboard power rail can be independently configured as 3.3V or 5.5V for maximum flexibility. Power is also available via a header for use without a breadboard. 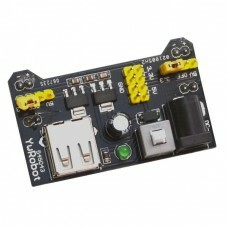 This module accepts input power from a 6.5-12 volt DC adapter or from a USB type A extension cable. Includes an on/off switch and power on LED.